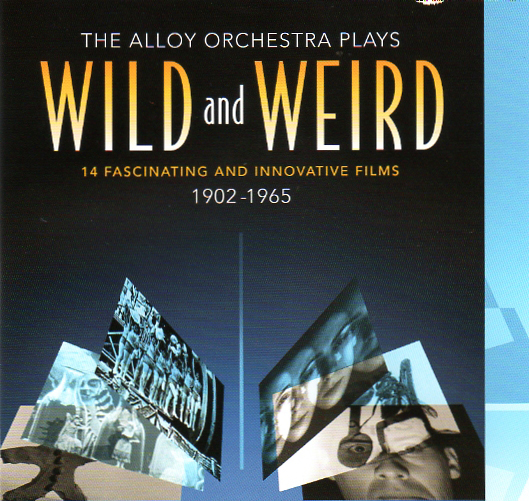 Alloy Orchestra newest DVD release. A compilation of 14 short silent films, this disk contains some of the oddest and most unexpected short films from the silent era. Includes A Trip to the Moon by Georges Melies, Dreams of a Rarebit Fiend from the Edison Studios, and Life and Death of 9143 a Hollywood Extra a surreal masterpiece from Stavko Vorkapich, Robert Florey and Gregg Toland. For more on Alloy Orchestra, visit http://www.alloyorchestra.com.